The Dieselgate scandal will cost Volkswagen billions of dollars, so of course it will work hard on finding fixes for its engines rather than resorting to strict buy backs, which is far costlier. Back in February, we reported on everything we knew at the time about the 3.0-liter engine buy backs and repairs. Yesterday, Volkswagen gained new approval to fix additional Audis. The new approval covers 2014-2016 Audi A6 Quattro, A7 Quattro, A8, A8L and Q5 diesel vehicles. The approved fix entails removing defeat device software that reduced emission control effectiveness and replacing certain hardware components. Previously, regulators approved a fix for 38,000 other 3.0-liter diesels. 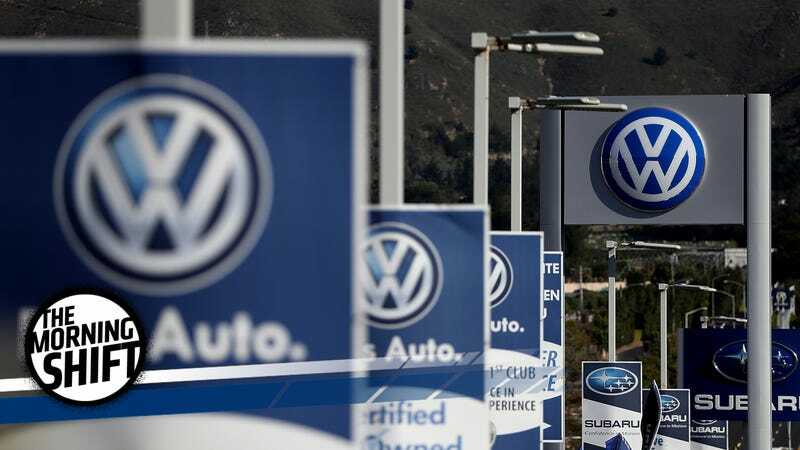 In May, a U.S. District Judge ruled that if Volkswagen failed to obtain governmental approval for a fix, then it would be forced to offer owners buy backs. It would have cost the German automaker about $4 billion. While that’s all happening, Volkswagen is busy moving away from the scandal as quickly as it can by going electric for the future. Hell, the next Beetle could go electric. If you’ll kindly remember, the U.S. Department of Justice filed a civil lawsuit against Fiat Chrysler in May, alleging that it violated the Clean Air Act by failing to disclose that it installed “defeat devices” on 3.0-liter diesel vehicles. Now, it looks like the two are in talks over a settlement. Proposed settlement documents have been passed between vehicle owners, who also filed suits, and proposals were discussed with the Justice Department, CARB and Bosch GmbH, the German auto supplier, reports Reuters. For what it’s worth, FCA has denied any wrongdoing. It’s said that it never tried to cheat emissions regulations. Uber is no stranger to fighting legal battles with local taxi services and companies, which include claims regarding anti-competitiveness and labor disputes. Because Uber uses the gig economy, there are far fewer regulations and protections for its drivers. In Europe, that may soon change. Today, the EU’s highest court declared that Uber has to obey the region’s transportation rules, reports The New York Times. The decision was reached after the court said Uber operates more like a transportation service rather than a digital company. As a result, Uber might not be allowed to let “nonprofessional” drivers drive people around. This type of legal confusion also isn’t really new to fast-changing business models that have boomed in recent years. It’s hard to regulate every single person or company that comes up with a new idea or practice. It takes time for the legal system to first observe and then catch up. Yet, with this new ruling, it shows that some of the chief complaints against Uber (requiring professional drivers and driver protection) will be addressed. Just yesterday, we found that Subaru was caught letting uncertified staff carry out final inspections for new cars. They were doing it for decades. Subaru said that it would be get better about that. Today, there’s possibly a new mileage issue, which is definitely not helping Subaru’s stock. Subaru says that it’s now also looking into whether or not mileage readings were falsified during those final inspections, according to Reuters. This has driven its shares down about eight percent. Some inspectors told investigators that mileage data had been altered on some sample vehicle models tested during final checks. Subaru said it had not confirmed that any such fabrications had taken place. Subaru shares fell as much as 8.5 percent to their lowest since July 2016, before ending down 7 percent. The stock has given up almost 10 percent over the past two months amid the inspection scandal. Hey, so, here’s a novel idea: why don’t companies just build the damn car without cutting corners? It would avoid all of this headache. At the end of 2000, Mazda and Monterey County, where the course is located, struck a naming deal. And as of April 1, 2018, it will no longer carry the Mazda name, reports Autoweek, which muses that perhaps recently falling sales had something to do with it. Anyway! This affects nobody really and just makes saying the name of the circuit officially easier. Neutral: Do You Think Uber Will Have The Same Fate Here? Do you think Uber (and all other ride-hailing apps, for that matter) will ever be forced to obey traditional taxi and transportation regulations here in the U.S.? Why or why not?